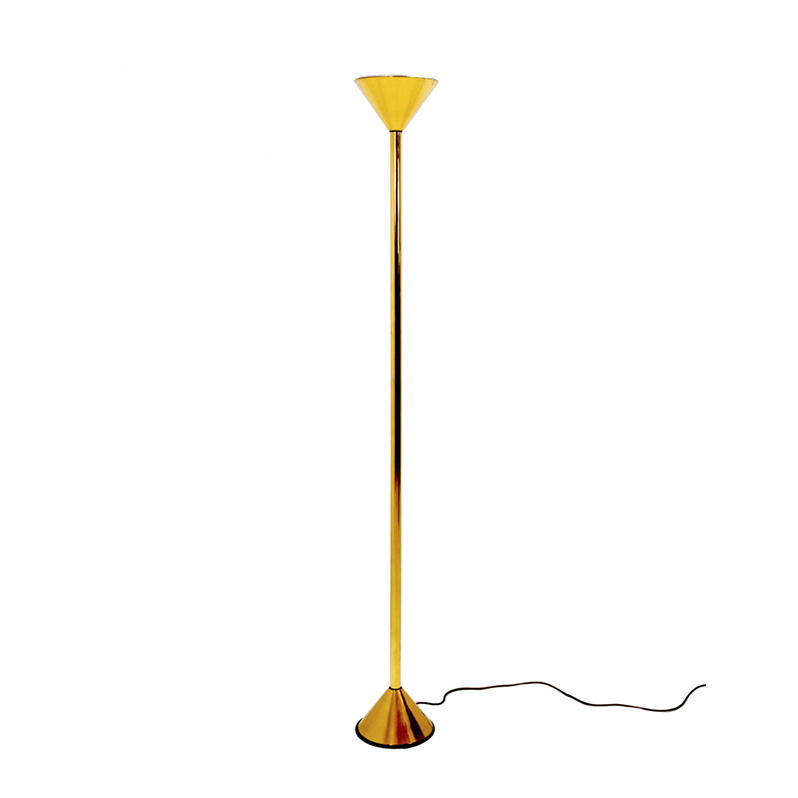 Very simple strong design attributed ,Vittoriano Vigano Italy .this brass floor lamp .70s . 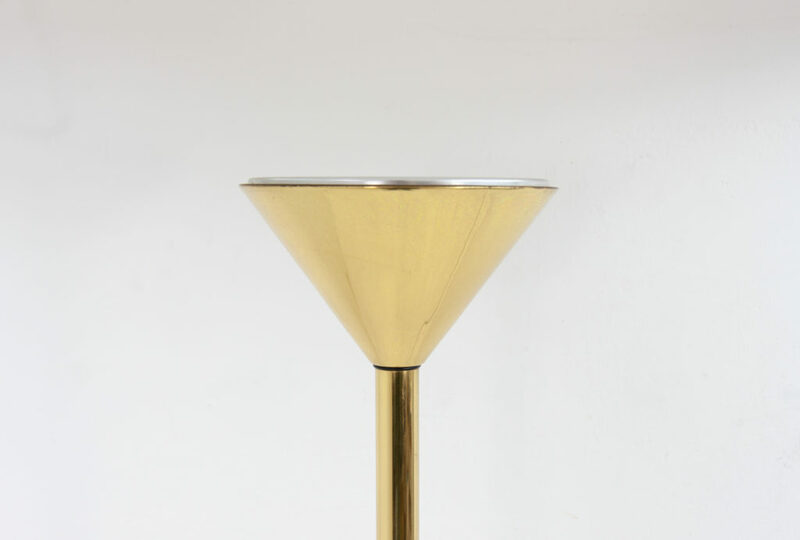 Very simple strong design attributed to Vittoriano Vigano Italy. 70s . Industrial drafting table chair. 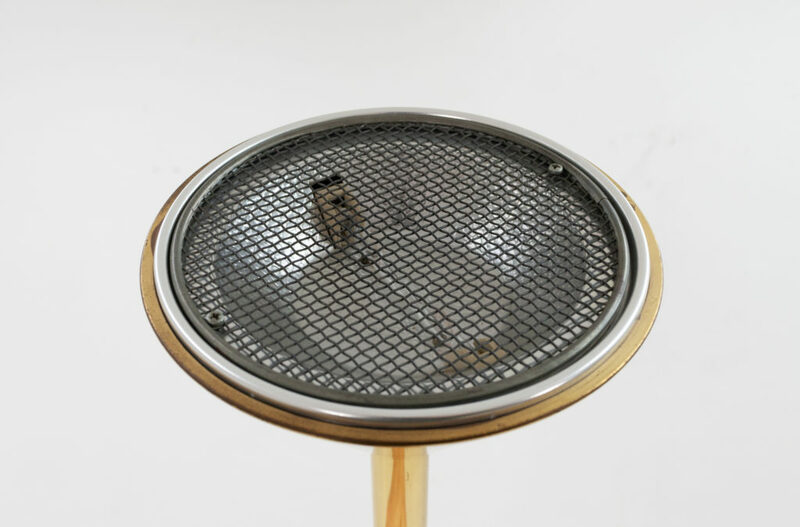 Designed by Friso Kramer and produced by Ahrend de Cirkel Holland in the 1960s. Upholstered in an original Royal Dutch postal service mail bag. Very unique. Signed by manufacturer on the adjustment knob.